Though Boracay is known for being surrounded by a clear, clam and inviting ocean teeming with tropical fish of all sizes and colors, not everyone may want to spend all of their water time in the sea. In fact, most visitors can be found relaxing the hours away in a resort pool as they take in the view of the ocean or the resort’s grounds.These types of guests are generally in town for a vacation made up of a mix of adventure and relaxation and prefer to have some time during the day to recover from the mornings events. Generally those preferring a pool resort are also looking for a more private visit, making the need to find the best suited resort an important one. 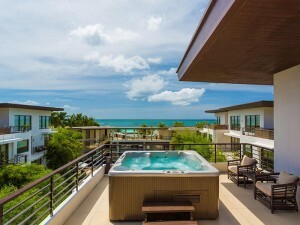 Though most high star resorts and hotels in Boracay can be found to have a public pool or two, some take privacy to the next level with a private pool or jacuzzi situated on a private balcony or veranda. These private escapes allow for a more romantic and enjoyable experience away from other resort guests vying for the same prime spot in the pool. Below you’ll find a list of high quality resorts and hotels that cater to those who like a little something extra with their rooms. Though the resorts listed below vary from one another in size, location and nightly rate, they each are backed by stellar reviews, offer great amenities and call visitors back for a second, and sometimes third, visit. With a large number of hotels and resorts around Boracay offering one or more public outdoor pools, its easy to see that guests love relaxing and swimming in fresh water just as much as the ocean. But what about swimming in your own pool? Luckily there are a few island resorts that take privacy to the next level with rooms offering a private pool or jacuzzi to enjoy. 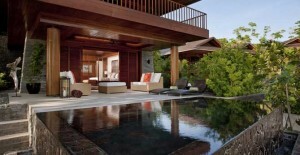 Below you’ll find a list of the best resorts offering such a luxury. Located on a secluded beach near the southern end of the island, Asya Premier Suites is a resort designed with luxury in mind offering 20 rooms, one of which offers a private pool to enjoy as you look over the resort. This room, along with all the others come outfitted with an oversized bed, TV, min bar, coffee maker, air conditioners throughout and a private veranda. Even the bathroom is luxurious with a European size standalone bathtub, separate shower, bathrobes and a hair dyer. Free internet is also included with each night’s stay. Outside of the rooms, the luxury theme continues with a restaurant and a bar, an infinity pool, spa, fitness room, golf carts and the availability of a free shuttle service. Those who are bringing children along will find the available nanny services to be quite helpful. There are also various water sports to enjoy including snorkeling and kayaking. 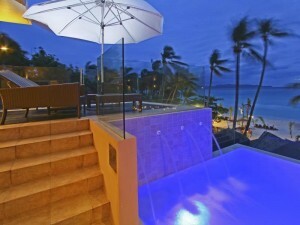 Yes, rooms rates are on the higher side, but if you can afford it you’ll find this resort a hard one to beat. 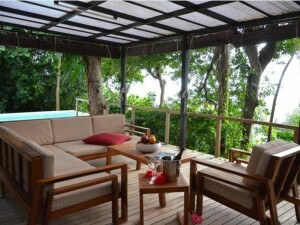 Reviews gladly state how spectacular this resort is by detailing how wonderful the rooms, service and location are. 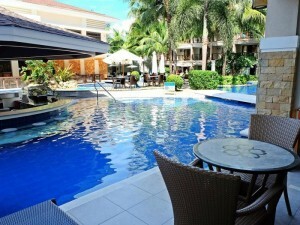 A medium sized resort with a 5-star rating, Discovery Shores Boracay is a resort you’ll see mentioned often around this website due to its excellence in almost everything. Here guests will get to choose between 88 rooms in 5 different categories with some offering a 2 bedroom suite. 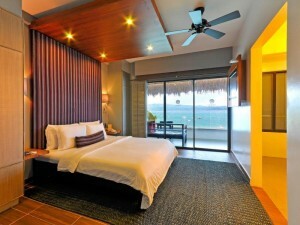 Regardless of the room type, each is outfitted with a minibar, coffee making area and a 32″ LCD TV. There are also little extra touches throughout each room that helps to add an extra dab of luxury including down pillows, oversized towels, an iPod dock and an iron with ironing board. Perhaps the most important room feature however is the outside jacuzzi situated on a private room balcony with a view of the resort. The resort takes it up another notch by hosting 4 different restaurants and bars, a spa, large shared pool, gym, CD/DVD library, a book library and the availability of a kids room. For those who like to feel a little extra secure during their travels, there’s an on-call nurse in case of an accident. Reviews are strong with lots of guests noting that the location of the resort is on a quieter section of the beach making it easier to wander around without bumping into people. A very popular and large 5-star resort, the Henann Lagoon Resort has 221 rooms to choose from, some even with their own private plunge pool. All rooms have Wi-Fi access with a fee, a TV, refrigerator, coffee maker and air conditioning. Room decor is classic in design with a contrast of light and dark consisting of white ceilings, wood floors and dark edging. There’s also a large load of amenities to choose from, including a pool bar, cafe, baggage storage, mini shop, a few swimming pools, a convenient location, the Kai Regency Spa offering various treatments and massage options and a towel and laundry service. A unique quality about the resort is its multilingual staff that is praised over and over again in reviews. Reviews also touch on the rooms and location stating that the rooms are clean and comfortable and the location works even though the resort is not directly on the beach. A truly tropical escape, the Mandala Villas and Spa is a small resort surrounded by lush greenery located about a 10 minute walk from the beach. Due to the peaceful, private setting and on-site spa, this resort is a perfect match for those seeking a relaxing or romantic escape from the rest of the island. 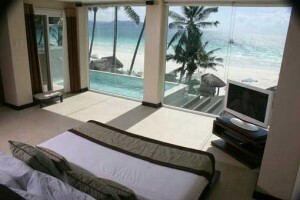 There are 2 different room types, one of them being a garden villa and the other a pool villa. The pool villas feature a private veranda area that connects each room to an outdoor pool. Inside the rooms, no matter which of the two types of rooms are stayed in, is a personal refrigerator and a mini bar, a 42 inch TV and air conditioning. The resort also plays host to a restaurant, making the need to venture into town for a bit to eat unnecessary. Also on-site are yoga classes, a sauna, a beautiful garden to explore, a free internet access throughout, a media library with unlimited use, fresh mangoes from the resort’s mangoes trees and free use of the laundry facility. Guests will also receive 10% off of all in house spa services. With a steady stream of great reviews, the Mandala Villas and Spa seems to impress each and every person who stays here, helping to make the room rates well worth it. A small 4-star hotel built to impress, the Nami Private Villas Hotel is located away from the main action of town, yet close enough to easily reach White Beach and all of its shops and dining options. When at the resort, guests will find 12 rooms each with air conditioning, a balcony, TV, a coffee and tea making area, a mini bar and private bathroom. In addition, each room features a private jacuzzi, helping to make this accommodation one of the best on the island for romantic couples. Around the hotel, there is both a restaurant and a bar that overlooks the entire island. Guests will also find various water sport activities, spa and massage services, a handy butler service, room service and on-site babysitting. For those who have a bit of a hard time waking up, the hotel also offers a wake-up call service. With a highly regarded location, helpful service and private jacuzzis, it’s easy to see why reviews are high and why it’s a great choice for romantic couples. Set in a peaceful location on the beach, the Two Seasons Hotel offers a varieties of rooms, some suited for couples while others better suited to families. All together there are 34 rooms in 5 different room styles, with the most luxurious room being the Presidential Suite that features its own private infinity pool. No matter the room type, each is outfitted with both hot and cold showers, internet, a mini bar, coffee and tea making area, TV and air conditioning, Little extras include luxurious duvets, a DVD player, electronic safe, iPod docking station and a telephone system. Along with outfitted rooms, the hotel presents a lounge and bar, one of which is roof top, and an array of various amenities. Some of these amenities include both a fresh water adult and kiddie swimming pool, board games, DVD videos, free Wi-Fi along the beach, a laundry service and a Koi pond. For those who love to live on the pampered side, massages are available. Reviews are high with lots of guests loving the location and easy access to the heart of town with the hotel’s free shuttle.